The aeroplane passenger in front of you has rudely reclined into your already-cramped leg space. You grumble and passive-aggressively kick their seat. They yell at you: they're tired, they just want to sleep during the flight, so live with it, buddy! Which of you is the bad guy here? Neither, says Mike Rugnetta. The bad guy is the airline, which goaded you two into this fight. Airlines engineer this situation. Perhaps not out of direct desire to see you fume, but nonetheless, in-transit personal space is sacrificed at the altar of profit. 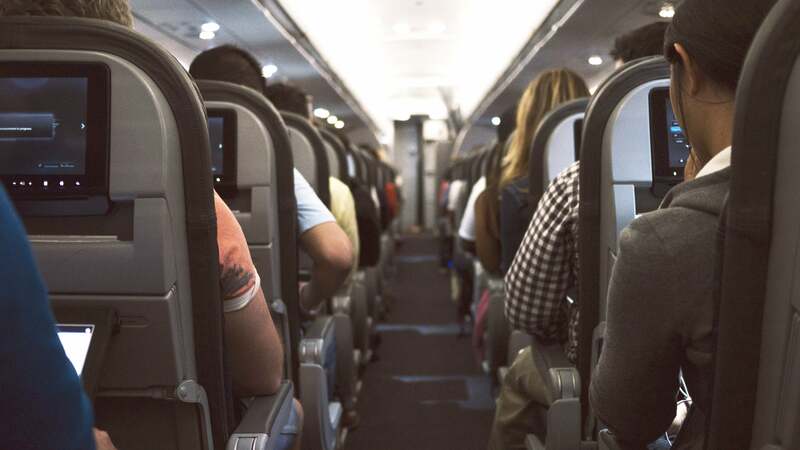 Unable as you are to confront the circumstances which result in being seatbacked upon, or kicked into for exercising your airline-given right to recline…it's easier to take issue with [one] person and in so doing, give the airline something of a pass. The airline (and the manufacturer) decided how many seats to put on that plane and how much to charge for them, and came up with a system that packs in the low-paying passengers to make the higher-priced seats more attractive. To maximise profit, the airline sacrificed the happiness of its customers. This is a common corporate choice. And choices like it are probably behind most of the petty grievances you carry with you as you go about your business. It happens whenever someone reclines a seat. It happens when your overworked bartender still hasn't served your drink. It happens when your co-worker gets a raise and you don't. It happens when someone beats you to the one seat on a crowded subway. It happens any time you raise your voice at a customer service rep. Power structures, especially corporate ones, pit you against each other, and you forget that they're the real enemy. So next time someone's aggravating you, or you're about to aggravate them, stop and think if they're the enemy or the fellow victim. And long-term, consider how you can ally with that person — against the Man. It's only fair.